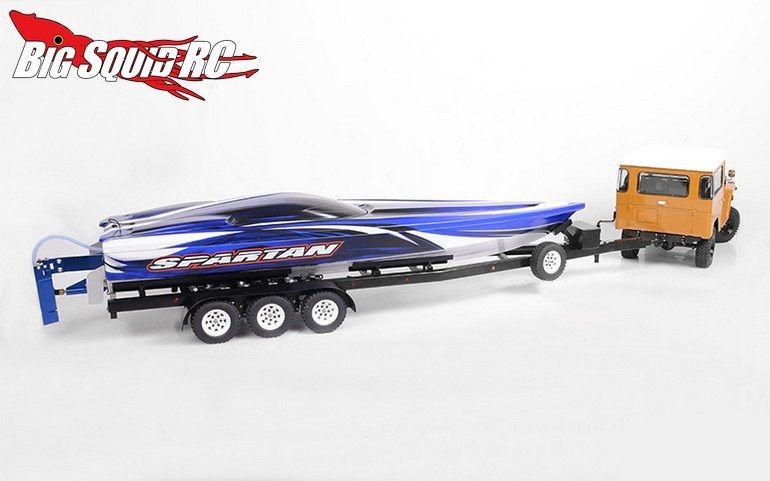 RC4WD BigDog Triple Axle Boat Trailer « Big Squid RC – RC Car and Truck News, Reviews, Videos, and More! 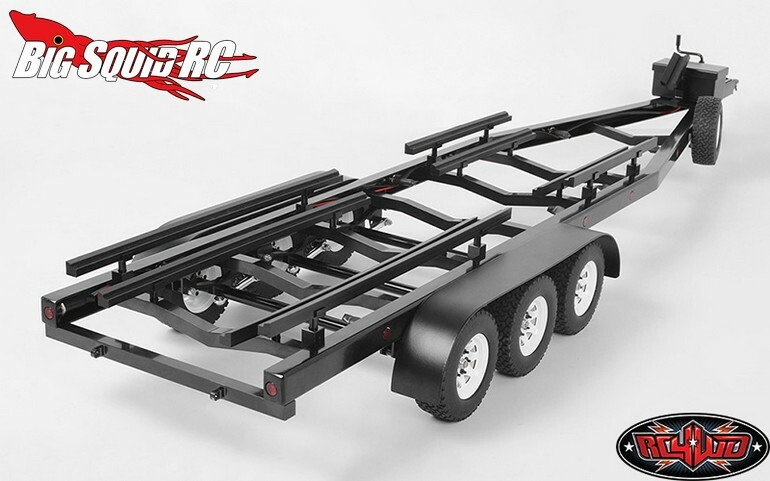 Just announced by RC4WD is the BigDog Triple Axle Boat Trailer. 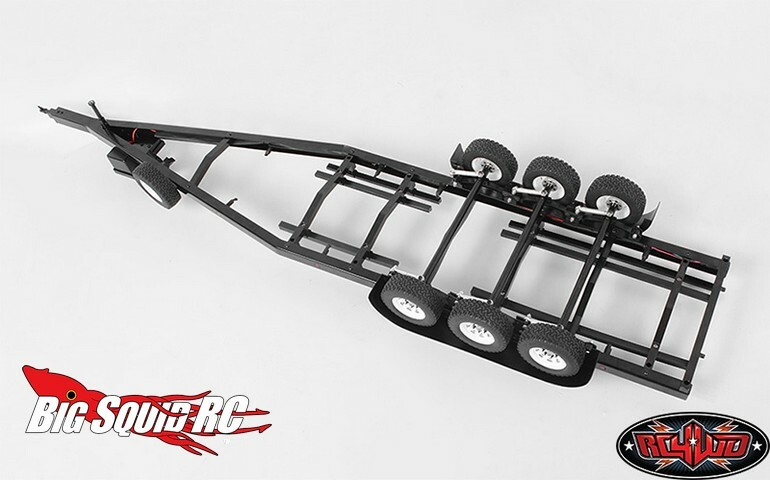 This hand made tube trailer sports 1.55″ white beadlock wheels and Dirt Grabber all terrain tires. Leaf spring suspension is used underneath and it even comes with a working lift jack for the ultimate in scale realism. 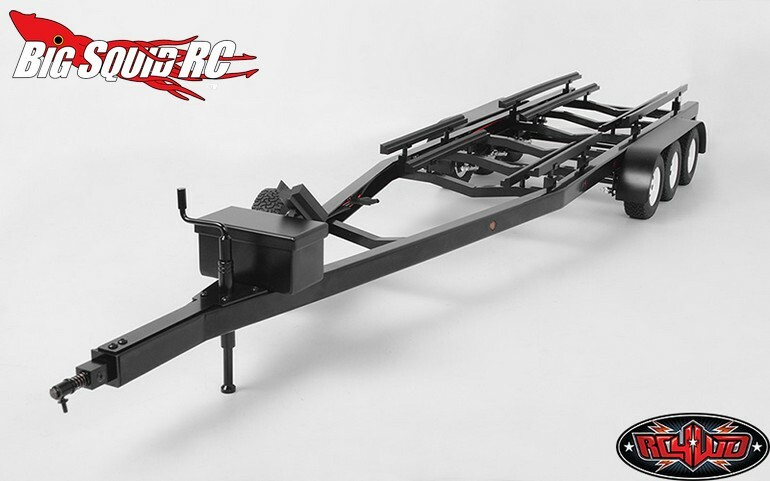 Pricing for the BigDog trailer is $329, it has a part number of #Z-H0011, and full details await you over on RC4WD’s Official Website.